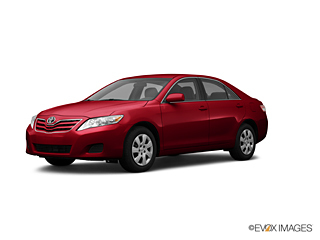 Tossing around ideas on how to get the best deal on used auto parts for your Toyota? AutoPartSearch.com has a HUGE selection of recycled auto parts for Toyota Avalon, Camry, Solara, Celica, Corolla, Tercel, Matrix, MR2, Paseo, Prius and Supra and SUV and Truck parts for 4 Runner, FJ Cruiser, Highlander, LandCruiser, SR5, Rav4, Sequoia, Sienna, Tacoma and Tundra at terrifically low prices. Our access to thousands of high quality used car parts allows us to provide you with the best-used junkyard auto parts with minimum impact on your wallet. Buying used car parts from auto salvage yards is a great opportunity to save money. Parts that come from reputable junk yards are professionally cleaned and cared for and will be significantly cheaper to buy. We provide you with only the best parts available from our parts inventories. If you have an older model car at some point you are going to face repair issues. Used auto parts are a great way to replace the worn parts in an older model auto and if the car is out of production may be the only alternative to finding parts at all. Our large inventory of parts gives you an upper hand in locating discontinued model parts. When you use recycled auto parts you do your part in keeping the environment healthy. One recycled reused part leaves one less to occupy a landfill keeping area landfills pollution free. Buying used parts may not be what you want for your auto. That is where a high-quality aftermarket part can make all the difference. You don’t have the budget to spend on an OEM part or the OEM part is experiencing a shortage or the OEM manufacturer is no longer making them for outdated models. We provide you with high-quality choices in aftermarket auto parts when used parts don’t fulfill your needs. Original Equipment Manufacturer Parts can be purchased through AutoPartSearch.com. Great times to use these types of parts are when you are leasing a vehicle to keep lease agreement specifications. You don’t want to have to worry about fit and function or having a warranty on your parts are something you desire. We give you the ability to buy your OEM parts directly from our site.